Delivery Pronto - Evergreen Peat | UK's leading manufacturers of horticultural peat and compost products, quality continues to be pinnacle to the Evergreen ethos. 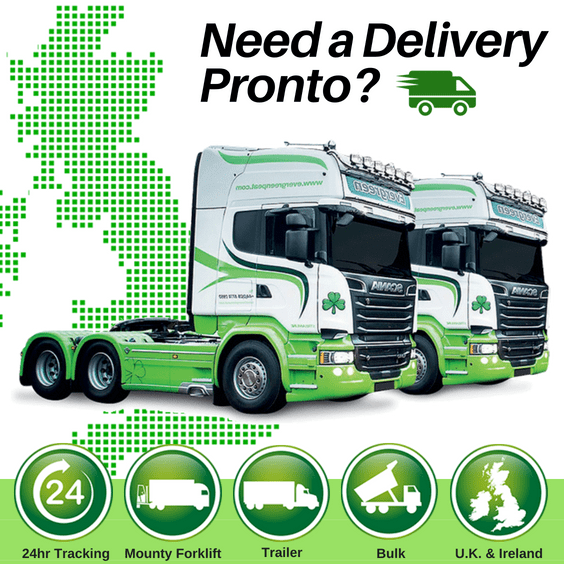 We offer a range of premium quality growing media products and with our own in-house haulage service, we can fulfil urgent deliveries throughout the U.K. & Ireland, even as early as next day. Our excellent delivery service can accommodate loose, bulk and mixed loads with a mounty forklift service available and live 24hr tracking of your order also. If you are in need of an urgent order after the busy Bank Holiday weekend then do not hesitate to contact us. You can also live chat with us by activating the chat icon to the bottom right-hand corner of your screen. Don’t forget to subscribe to our mailing list for all the latest news and seasonal offers.